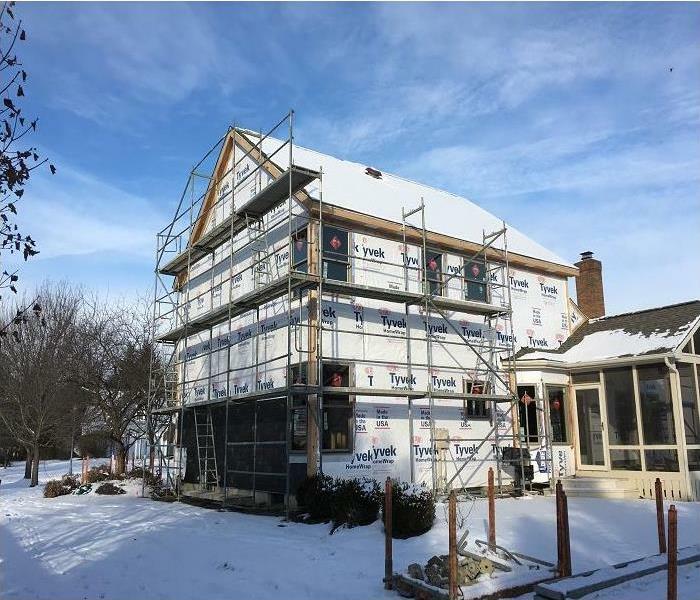 Scaffolding was set up to replace the exterior stucco and brick on this New Albany home. Our SERVPRO of Northeast Columbus did a great job rebuilding this home’s interior and exterior due to the extensive damage due lighting strike! This large loss commercial job required the mobilization and coordination of many resources including those from our corporate office and neighboring franchises. 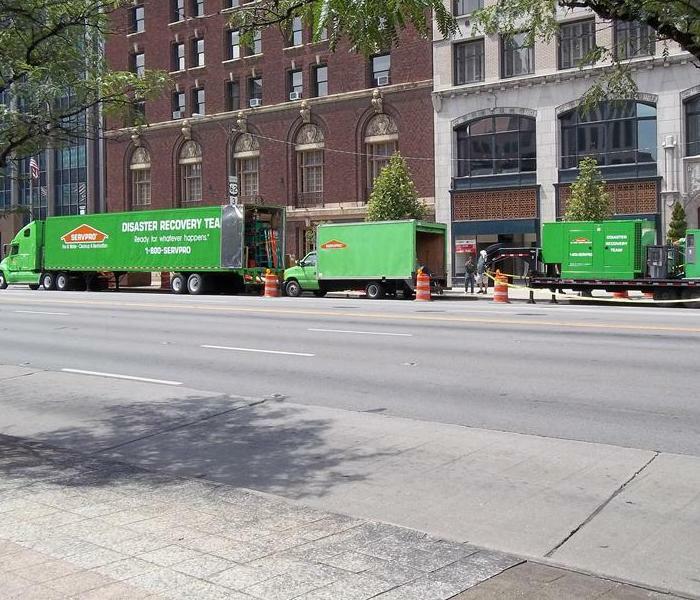 This job is a true reflection of the strength of SERVPRO! We are capable of responding to any size loss by partnering with nearly 1,700 franchises across the Country! Additional photos from the large commercial loss job in Columbus, OH. Many local SERVPROS helped with the large job. We also had crews from a SERVPRO in the south come to assist our team. 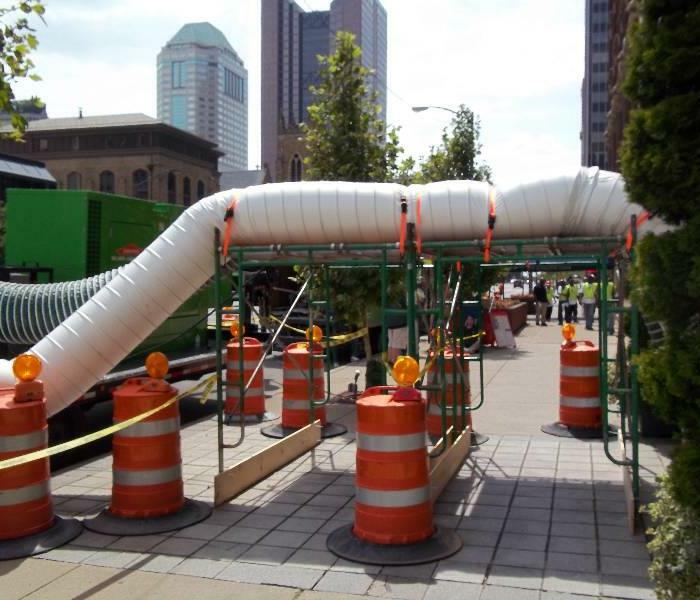 Lay flat ducting running from our desiccant dehumidifier through multiple levels of this large commercial loss. 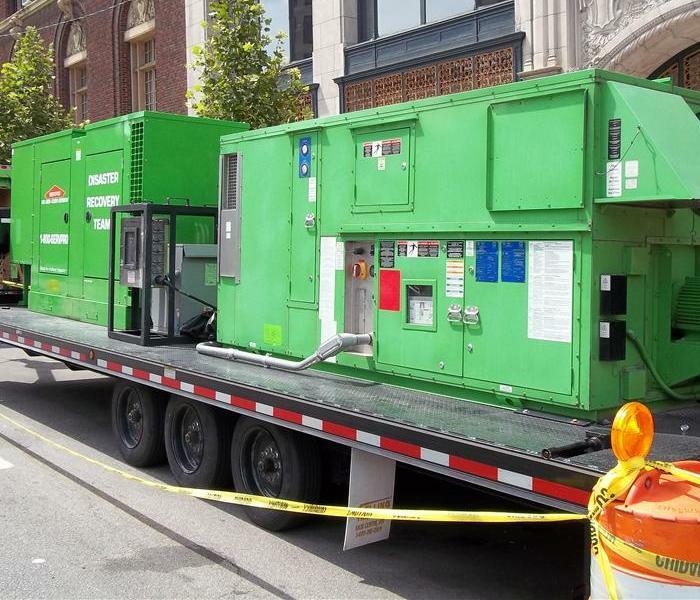 This desiccant dehumidifier can dry a large building very rapidly. This will reduce the damage to structure and contents. 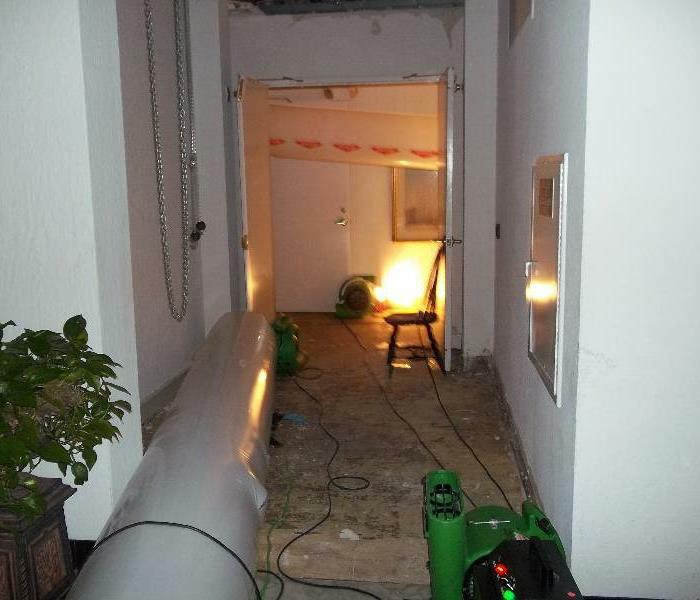 This photo show the desiccant lay flat ducting running from the desiccant in the second floor hallway. This area also required demolition. 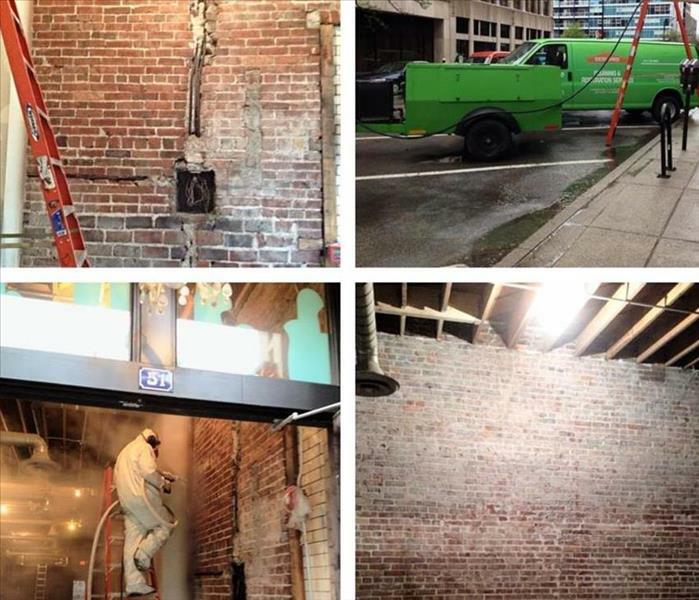 This job had fire and water damage, so once the structure was dry our SERVPRO team clean all the structure and contents. This photo shows the internal capabilities we have to complete dry ice blasting. This unique cleaning technique can be used on everything from soot removal to graffiti removal. In this case there was soot on the brick wall. A prior fire damage CE class in session. This class is being led by instructor Bob Heid. We host several CE classes per year for insurance agents, property managers, and real estate agents.